Today's project is one I've been dying to share! 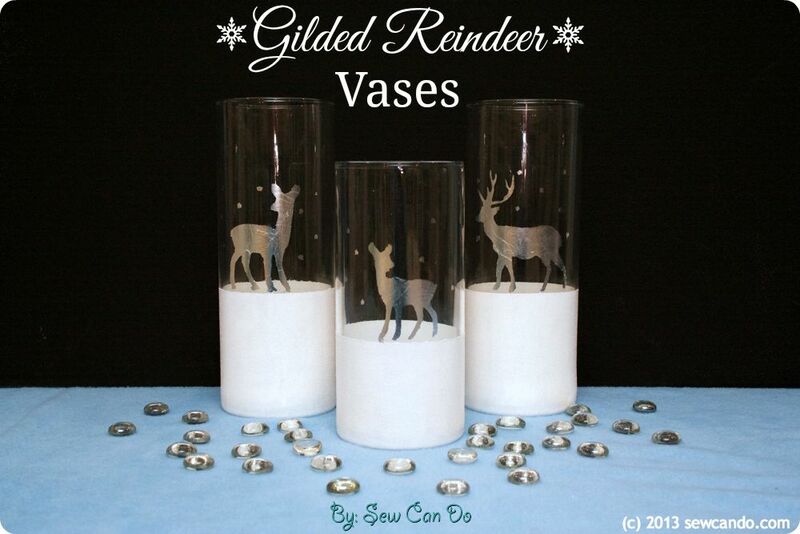 I'm getting a head start on my holiday crafts with these Gilded Reindeer Vases. 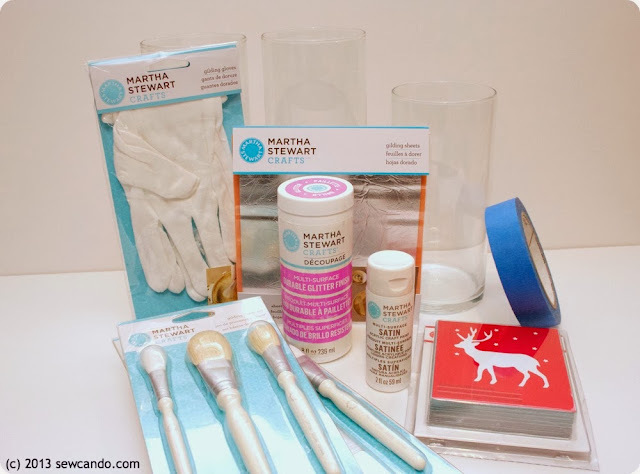 I received a box of multi-surface craft goodies from Martha Stewart Crafts for making something special for the holidays and they got me inspired to try something totally new to me: gilding. And believe me, once you get the hang of it, it's pretty simple and addicting! Now let's get started on the reindeer crafting magic! * You can find Martha Stewart Crafts line in-store at Michaels or in Plaid’s online store. 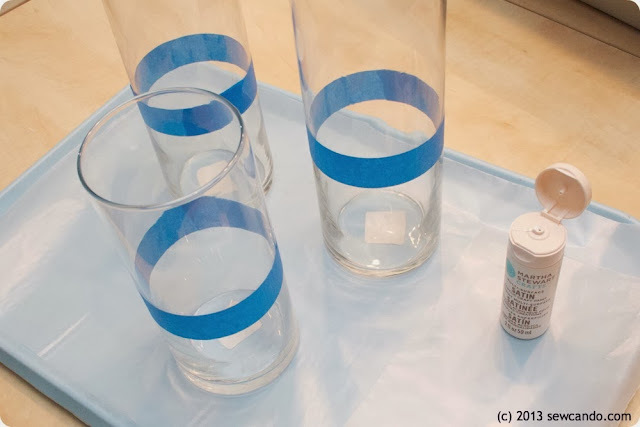 Critical first step: start by cleaning the surface of the vases with rubbing alcohol & a paper towel. 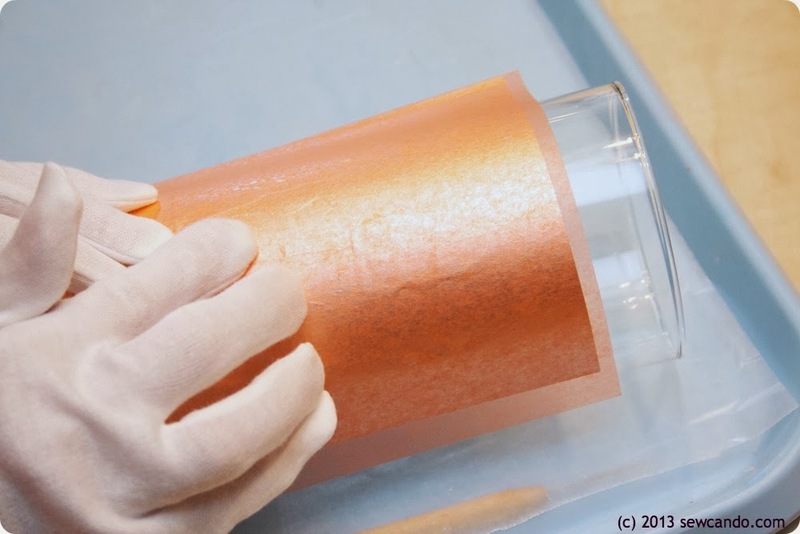 This will remove any residues or oils that will prevent the paint & gilding from adhering. 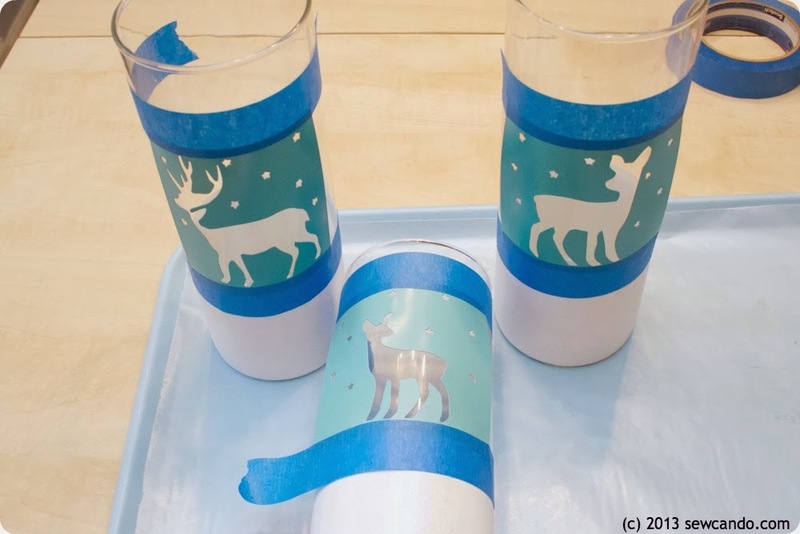 Tape around each vase at the point you want the snowy ground to start. I like to work on a piece of waxed paper since it's an easy, disposable work surface. I just put a blob of paint right on it and work from there and then toss it when done. 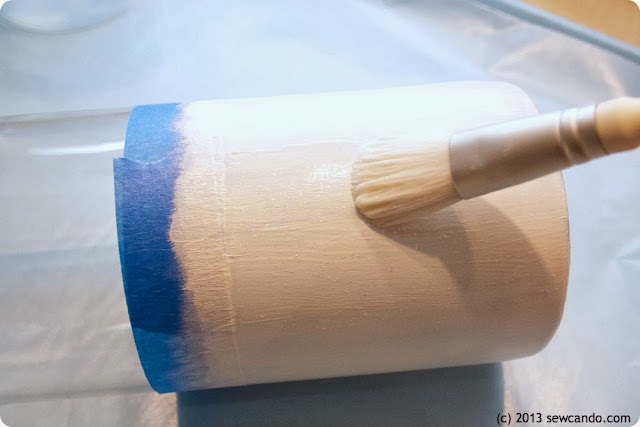 I brushed on a layer of paint in vertical strokes. When it dried I did the next two coats horizontally so the brush strokes wouldn't be as noticeable and there was good coverage. 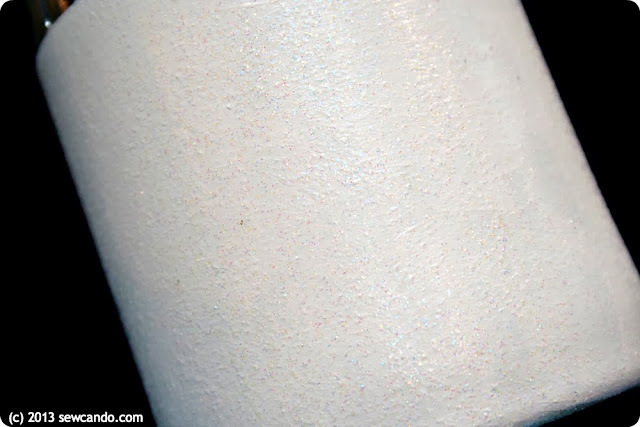 Once all the painting was dry, I did the same layering job with my glitter decoupage medium and then peeled off my tape. Then I taped on my stencils just above my snowy ground. It's a little tricky to use these stencils on a rounded surface, but I really loved these reindeer, so I was determined to make it work. 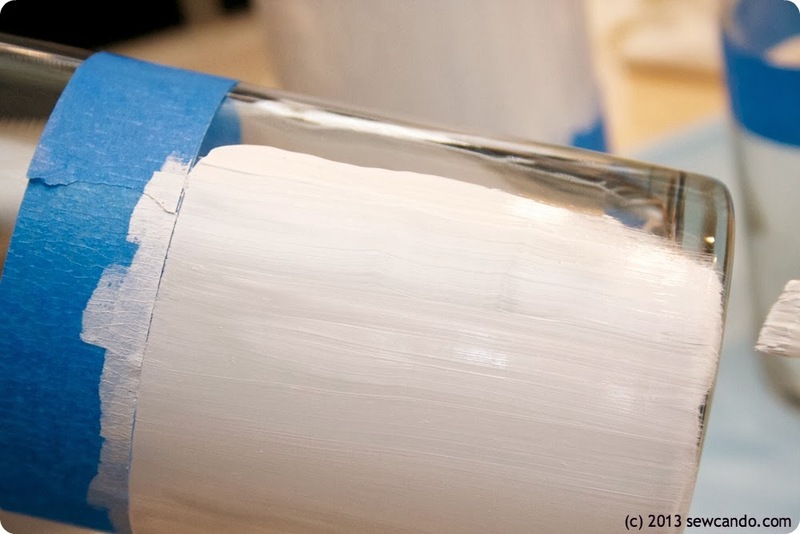 The gilding brush set includes a brush for painting on the adhesive so I used that to carefully brush on the clear adhesive. A little goes a long way so don't be too generous or it could seep under the edges of your stencil (I learned that the hard way). 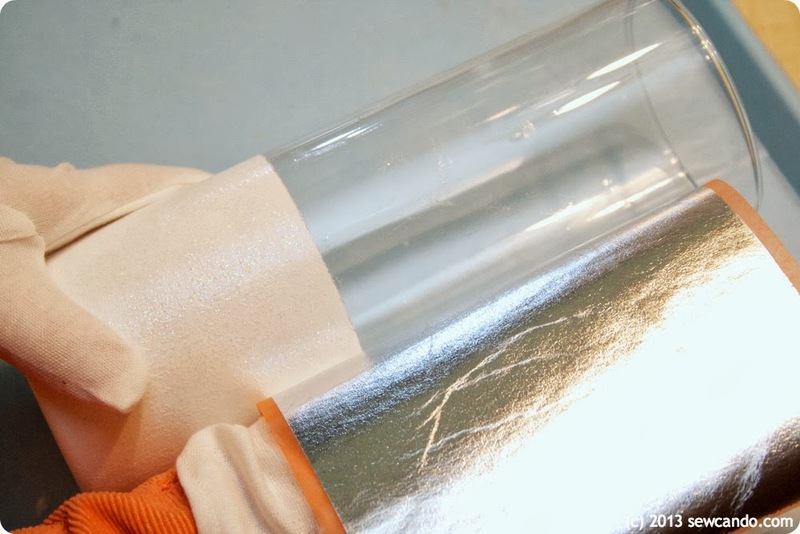 To make it easier to avoid that around some of the edges, I pressed down the stencil in that area with one hand while I dabbed my adhesive with the other. Then remove the stencils and allow the adhesive to set for about 20 minutes. It should feel nearly try and a little tacky to the touch when ready. I slipped on my cotton gilding gloves and took a sheet of gilding from the pack, careful to keep the tissue backing paper on, and laid it over my adhesive. Then I smoothed the gilding down with my hands and pressed with a circular motion to make sure it adhered to the adhesive and let it sit for an hour. It was SO hard to be patient and wait to see the results!!! Then came the fun part: the reveal. I removed the tissue and carefully brushed at the gilding with the fluffy, round gilding brush. Any bits that weren't glued to my design began to break and flake off. This is the part where the gloves really come in handy. The gilding is very fine and will definitely stick to bare hands, so cleaning up was much easier thanks to the gloves. I used a razor blade to carefully scrape away any spots where adhesive snuck out of the stencil and make some of the edges look cleaner. They add some holiday style as they are, filled with seasonal greens or filled with candles and can be grouped together as a centerpiece or spread out on a mantel. Lots of decorating options! I was financially compensated for this post. I received select craft supplies from Plaid Crafts for their Martha Stewart Crafts Holiday campaign. The opinions and ideas are completely my own based on my experience. For my complete disclosure policy, click here. Beautiful!! I really love the way that these look. Great job, Cheryl. I love that they work for the holidays, but are seasonal enough to keep out in January & February too. These turned out so great! I am loving everything reindeer this year. Nice Job. Thanks Tammy. I feel the same way - I'm all about reindeer themed things too! Wow! These are super adorable. I'm super not crafty so I hadn't even heard of gilding before. I'm going to have to find out more because this these are adorable. I'd only heard of the pricey kind that used real gold leaf, so I was thrilled to discover this stuff, which is very affordable and easy to use. I just instructions in the package and dived in! Cheryl, these looks awesome! I love how you combined techniques! 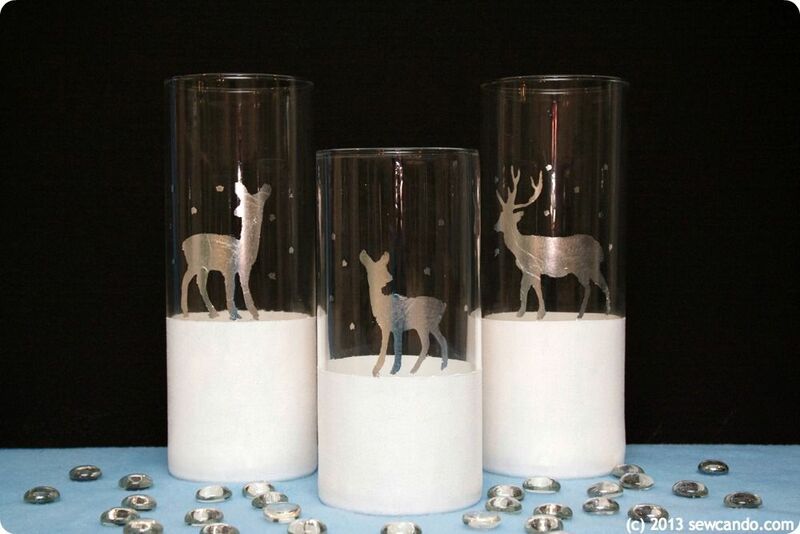 Those are adorable and I know will look lovely on your mantle or kitchen table this season and for years to come! 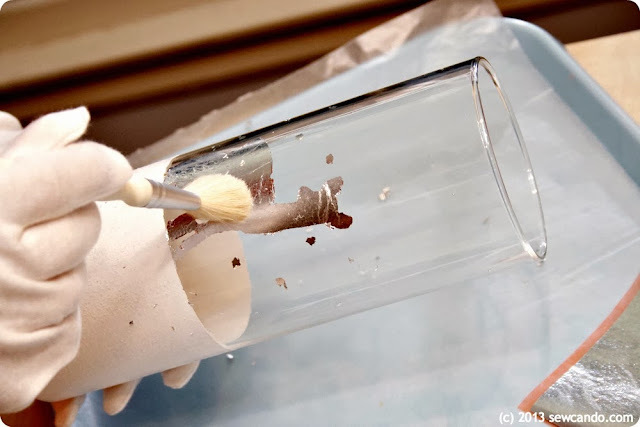 Great tutorial too (and tips on keeping it clean!). Thank you so much for joining my party and sharing your craft! Thanks so much Doni - my only problem is deciding where to put them because they work in so many places! These turned out fabulous!! 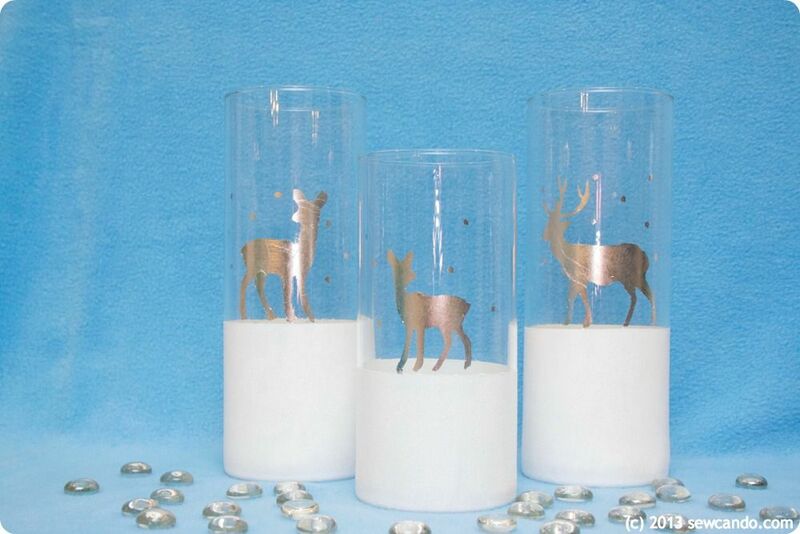 Especially love the gilded reindeers! I've been wanting to give gilding a try. It's definitely on my to do list. Thanks for the tips! You'll love it when you try it Maysem. I always thought it was expensive and complicated, but it wasn't at all and it's a lot of fun too. Thanks so much Tanya - I really appreciate that!! These turned out beautifully! Great work. Thanks so much for linking up to The DIY'ers! So pretty! I thought the white snow was a candle. 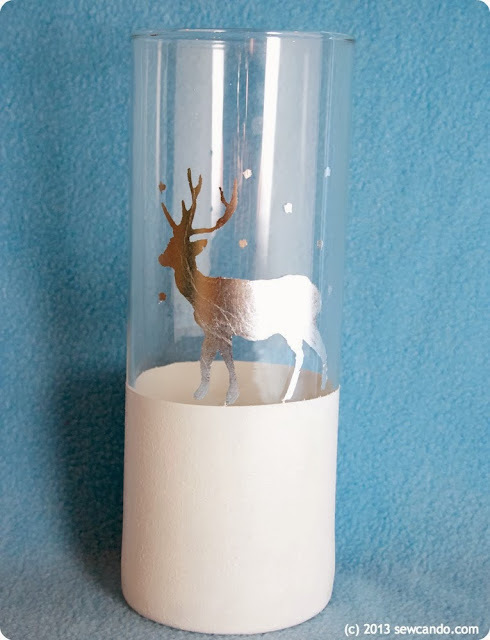 I like the painted snow better though because as a candle burns down the deer wouldn't be standing on it anymore. Thanks for sharing at Gingerly Made's Show & Tell. Those vases look sooo pretty Cheryl! I love these! Silver reindeer? Never even thought about it - but I love them!! Wish I wasn't boycotting Martha for dissing bloggers and hoping I can find the supplies elsewhere, LOL. Thanks so much for sharing!